In the developing world, everyone talks about corruption – but no one seems able to get a handle on it. Decision-makers in the corporate, development, and justice sectors concerned with combating malpractices in organizations often feel they lack effective tools to scope the problem and find a strategy to solve it. Equally serious, people who undertake strenuous compliance efforts often struggle to document improved performance as a result. There are well-known reports on corruption issues – but they are not much use if you’re struggling with the specific problems facing particular companies, industries, or jurisdictions. The best-known measures of corruption focus on reputations, not behavior; the public sector, not private business; and general, national-level information, not the granular detail needed for policy or enforcement. 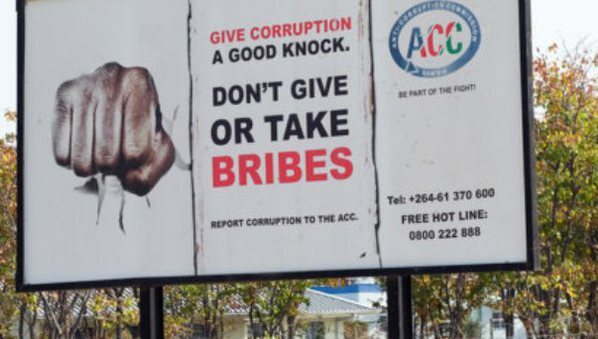 Moreover, studies evaluating anti-corruption efforts — tracking their results and revealing problems — are exceedingly rare. There is a solution that can give you solid, reliable information on corruption and compliance: the right kind of survey research. Surveys are the best way to measure the extent of concerns and zero in on the places where they are most serious. After you institute compliance programs, they are the most persuasive source of evidence that they are working. This article will explain how you can use surveys to gain vital information on corruption and compliance that can decide the success or failure of your project or program. Without them, anti-corruption efforts are based largely on guesswork and hope. Everyone knows corruption is pervasive in many emerging markets, yet specifics are hard to find. The principal information source on corruption worldwide is published by Transparency International, the Corruption Perceptions Index. Focused on misconduct in government, it draws on surveys of perceptions of government corruption and the likelihood of companies in particular countries to offer bribes to officials. To provide an accurate picture of corruption, behavioral data — what actually happens — is far more useful than reputational information – what people think happens. Unfortunately, TI asks no questions regarding company behavior, and its sole behavioral measure is a poll question as to whether citizens have paid bribes to any government officials anywhere. Consequently, little information is provided on corrupt practices within companies or in marketing within the private sector. Moreover, even regarding official corruption, results are available only at the national level, not broken out by sector, region, or even affected level of government or ministry. Yet surveys can be highly effective in revealing improper or improved behavior, because people will disclose it if they can do so safely and anonymously. Within an organization, if some workers are stealing or breaking the rules, there are usually others among their peers who are left out or annoyed by this. When companies pay bribes as part of doing business, many executives will discuss this in a survey, either because they see it as normal or feel unhappy at being shaken down. Ordinary citizens required to make illicit payments resent this and are often anxious to speak out about this. The key is assuring them that the interview really is anonymous and will protect their privacy. Analysis of corruption should begin by identifying which of the four principal avenues for corruption is in question. Employee misconduct (theft, procedural violations, favoritism) – we call this work force-business malpractice, or WFB corruption. Marketing to other firms is tainted by payments, gifts, or kickbacks – this is business to business or B2B corruption. Government officials receive payment or gifts from businesses – that is business to government or B2G corruption. Citizens pay bribes or give gifts to officials – this is citizen to government or C2G corruption. Each of these can be revealed by an appropriate survey methodology. Misdeeds by the workforce (WFB corruption) can be measured by a workforce survey. Below you see the results of a staff survey in a large firm with dozens of divisions (with the names changed, of course). (See Fig. 1) The proportions of staff who saw records falsified ranges from 11% to 2%, while the proportion who did not report misconduct varies from 66% to 36%. One unit, in A-town, is among the worst scorers on both measures. This kind of survey makes it possible to assess problems overall and target the areas where they are worst. Figure 1. Malpractice in a company. This survey was done online, which makes it easy to give all the firm’s personnel a chance to participate. Many people also feel more confidence in the anonymity of a survey administered by computer than in one where they speak to an interviewer face-to-face or by phone. Corrupt practices in marketing (B2B corruption) are trackable via business surveys. Business people tend to regard providing or receiving illicit payments or gifts in order to do business as a nuisance at best and a source of shame at worst. In our experience they have been willing to discuss this, particularly where the problem is worst. Surveys of both sellers and buyers are useful in this regard. It’s particularly useful to compare the results; where they agree, as they tend to, you have confirmation of a problem. Business payments to government officials (B2G corruption) also can be followed by business surveys. The same principle applies here, even more strongly: business people don’t like to be shaken down. Few – just 6% — refused to respond to the question. Moreover, they were even willing to be specific about the amounts and recipients. Surveys of citizens can paint a portrait of corruption in officials’ interactions with the public (C2G corruption). Even more than business people, citizens tend to resent demands from officials with their hands out for payment. (The notion that the public regards these as “user fees” for public services is largely a myth.) As long as they feel it is safe, they are happy to discuss bribery. Thus, for instance, while corruption is widely considered a problem in the Muslim world, our comparative surveys showed big differences in its incidence between countries. Just one in eight Indonesians and one in six Pakistanis said they had to bribe and official in the previous year, compared to nearly two-thirds of Algerians and seven out of ten Iraqis. Surveys of the behavior of workers, businesses, and citizens thus represent vital diagnostic tools for anti-corruption programs of every sort. Unlike vague surveys focused on reputation, they make it possible to measure the extent of problems as well as to learn their severity and identify the specific areas or organizations that pose the greatest problem. In this way, they are essential management tools for developing and planning anti-corruption work. After compliance programs have commenced, surveys are the best way to show if they are making a difference – a big concern for compliance officers. Corrupt practices, and even more, procedural violations, normally occur within large organizations which are not very transparent. Proving that even a well-intentioned and well-designed program is making the difference which decision-makers or regulators seek can be very difficult. But surveys can help here too. The same sort of research that reveals the extent of problems can also help show whether compliance efforts were having an effect. For instance, in one former socialist country, the authorities were trying to combat under-the-table payments from patients to doctors as they transitioned the health care system to a market basis. We were asked a simple question: was it working? We showed that despite the government’s best efforts, the problem was getting worse, and that stronger measures were needed. Surveys can also look inside organizations to gauge the impact of process-oriented efforts. You can use a variety of measures for this – subjective, objective, and behavioral. We used all of these in the large firm mentioned above. (See Figure 3.) We looked at whether staffers felt ethics training had helped – a subjective test; whether they knew there were misconduct reporting procedures – an objective one; and whether offenders were held accountable – a behavioral test. In this way, it becomes possible to see how strong the linkage is between assessments of program impact, increased knowledge resulting from it, and change in the behaviors compliance efforts seek. IN SUM: If you are concerned with anti-corruption efforts, whether in the business, international development, or security world, you should be putting surveys to work in them. They are the most accurate diagnostic tools for identifying the nature, extent, and causes of malpractices. Equally important, they can let you demonstrate that things are getting better after you begin your efforts – or help you identify what still needs fixing. No other source of information can help you understand and measure systemic problems and changes as clearly and effectively. They can give you – and those you report to – confidence that you have taken the measure of the problem and have a handle on it. If you don’t use them, you are wandering in the dark – which is hardly the way to get where you want to go. Craig Charney is president of Charney Research, a New York based survey research firm specializing in emerging markets and crisis countries.